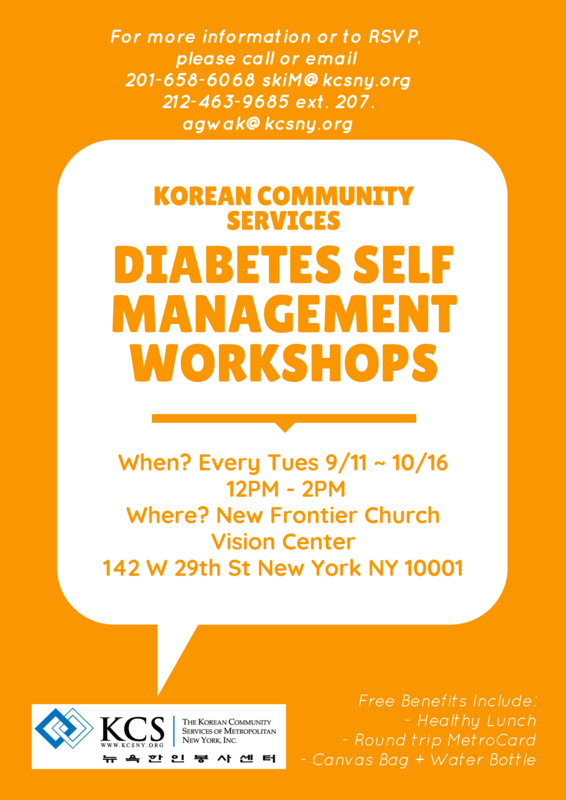 KCS’ PHRC will be hosting free diabetes management workshops every Tuesday from September 11th to October 16th, 12 p.m. to 2 p.m. at New Frontier Church. The workshops include free benefits, such as: a healthy lunch, round trip Metrocards, a reusable Eco bag and water bottle! For more information, please call our PHRC office at 212-463-9685 ext. 207, or 201-658-6068.